A group of four friends travel from New York City to Cape Breton Island to oversee the sale of a home in beautiful Starling Cove. Blue, the man who inherited the property following his grandmother’s death, needs the cash to pay off some shady mobsters who had funded his expanding restaurant in Brooklyn. Originally from Cape Breton but having left at a young age, Blue barely recalls his home town outside of a few fleeting memories. All that changes when he visits his grandmother’s home and visions begin flooding into his brain, threatening to unravel his sanity. It was great to see someone use Cape Breton Island as a destination for the weird and wonderful. I feel that it certainly has untapped potential as a setting for any genre. 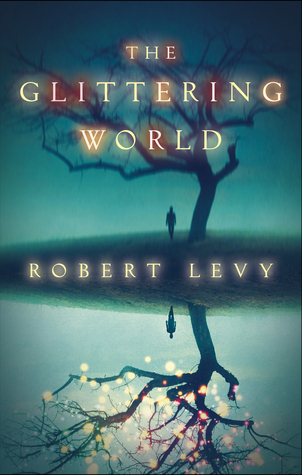 Maybe Levy’s The Glittering World will help establish it as Canada’s alternative to Stephen King’s Maine. Here’s hoping! February 25, 2015 in Fantasy, Fiction, Robert Levy. Even though I’m on the “mainland”, I’d be eager to read a book set in Cape Breton, too. But fantasy . . . I just don’t know.